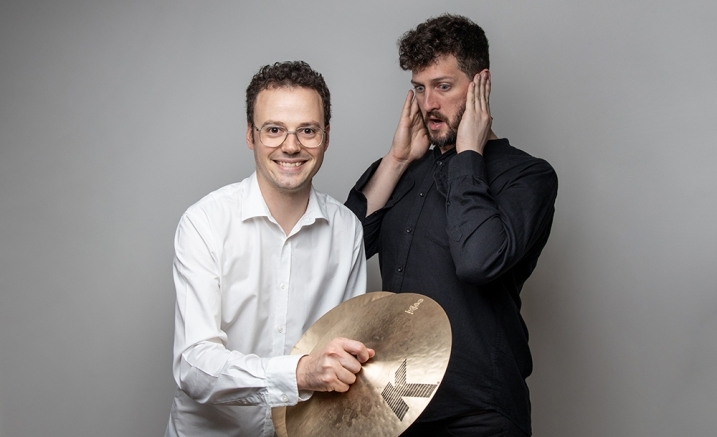 Ossicle Duo is an exciting new ensemble featuring contemporary music specialists Benjamin Anderson (trombone) and Hamish Upton (percussion). The pair met while studying in Singapore in 2010, and quickly bonded over music, going on to play together in numerous ensembles and projects before forming Ossicle Duo in 2017. The Duo explores the great repertoire that exists for this combination, ranging from post minimalism to the avant-garde, while also being committed to commissioning new works and collaborating with like-minded musicians. Contemporary music and theatre mingle in an exploration of the work of German-Argentine composer Mauricio Kagel. An aging trombonist carries out strange assembly rituals. An eccentric percussionist conducts sonic experiments with the help of an occasionally unruly assistant. And San Diego composer Michelle Lou’s ‘untitled three-part construction’ offers a distinctive noise palette of vibrating mobile phones, spanners and mechanical switches. Purchase the Ossicle Duo two-concert package and save!